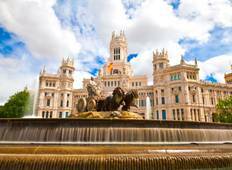 Find a culture trip that explores Portugal And Spain. There are 33 cultural tours to choose from, that range in length from 5 days up to 33 days. The most popular month for these tours is October, which has the most tour departures. "All excellent except for the last accommodation in Madrid. 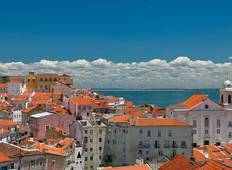 Location it is very far..."
"We had an amazing experience with Insight Vacations on the Best of Spain & Portugal...."
"Highly recommend this trip to anyone considering it, would have liked more time in..."
"Vincenzo was the best tour guide! He definitely made the experience much more fun..."
"This was an amazing tour! Highly recommend it. It gives you a good taste of the places...."
"Me and my wife have a great travel experience in this tour with our knowledgeable..."
"We were told there was no toilet on the bus. No commentary was provided during our..."
"I just finished FnEZ's very first 10 day Lagos to Lisbon, Portugal trip from May..."
"We are very unhappy with our very expensive high-end trip to Spain/Portugal with..."
"This tour is basically the second half of the Iberian Voyager tour. This meant that..."